So make your choice by clicking on one of the establishments listed below. You are looking for peace and quiet, two steps from the village of Argelès-sur-Mer at 2.5 km from the beach. Situated at the foot of the Pyrenees, on the Mediterranean seaside at a few kilometers from Perpignan (66) and Spain (25km). In a relaxed family atmosphere, campside Del Mar Village Languedoc Roussillon offers you Mobile home rentals and apartments for rent at 500m from the beach. 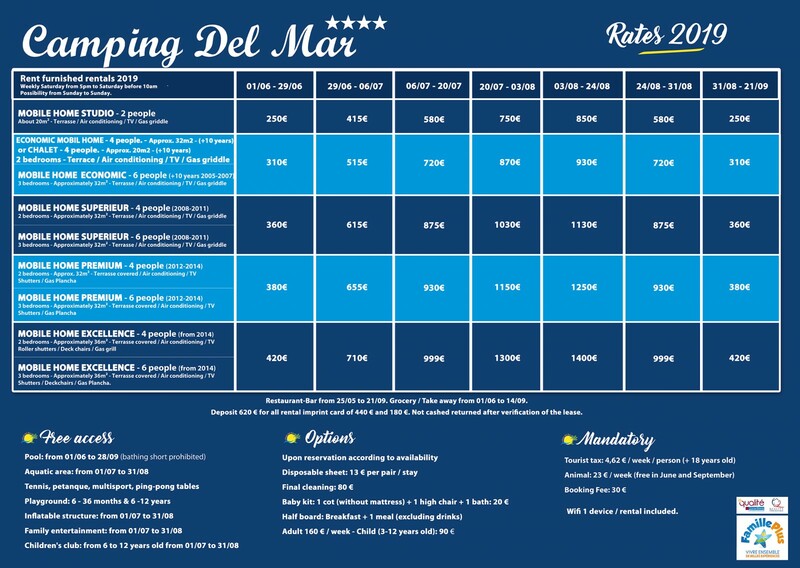 In a privileged setting of 7 hectares, take advantage of the bathing area with water slides and its sports and leisure facilities as well as numerous family activities and entertainment in the heart of campsite Del Mar village (July-August). To enjoy unforgettable holidays at Argelès-sur-Mer. Home village between sea and mountains for a convivial family stay near the typical village of Argelès-sur-Mer and at less than 3km of its beautiful beaches of Argelès-sur-Mer with a magnificent view of the Albères mountains. 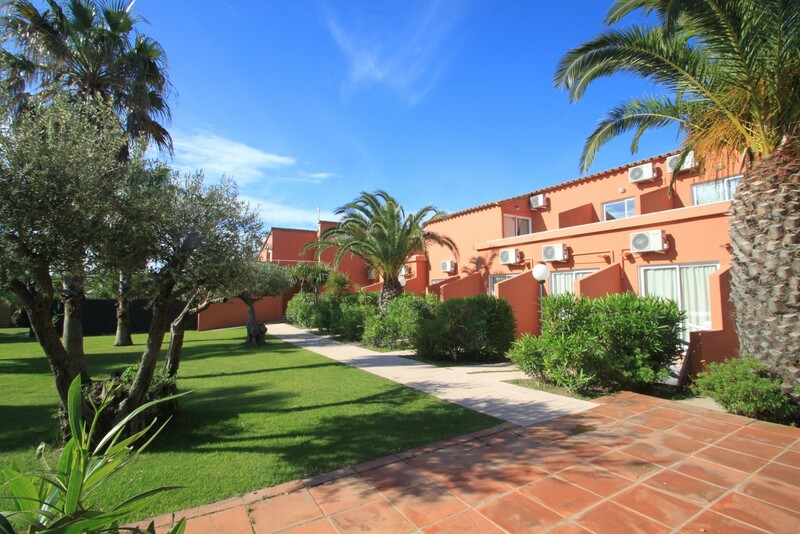 Situated in the authentic community of Argelès-sur-Mer at the foot of the Pyrenees and on the Mediterranean seaside. 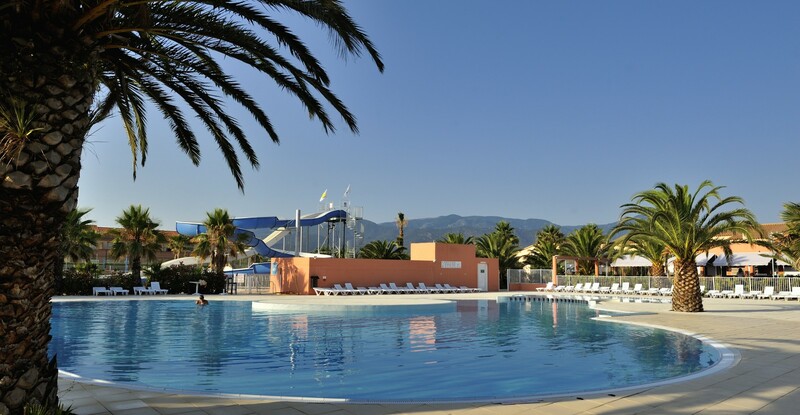 The group Del Mar Village : campsite del mar**** - résidence Antinea (NC) et campsite Clos du Thym *** welcomes you in a convivial family atmosphere. Come discover our establishments in their privileged settings with swimming pool and our magical region Languedoc-Roussillon enhanced by its sunny Mediterranean climate to fully enjoy your holiday. Discover the magnificent région Languedoc-Roussillon-Midi-Pyrénées, in a privileged setting and take advantage of the Mediterranean climate. For your stay at Village Del Mar, book your rental now to enjoy an unforgettable holiday at Argelès-sur-Mer.